Most companies don’t think twice about sending an employee on a business trip. After all, there are some parts of business that just need to be done face-to-face right? But face-to-face doesn’t have to mean in person. Research has shown that business trips can have a big effect on a company’s finances and productivity. In addition, travel friction can deeply impact employee happiness, motivation, and engagement. 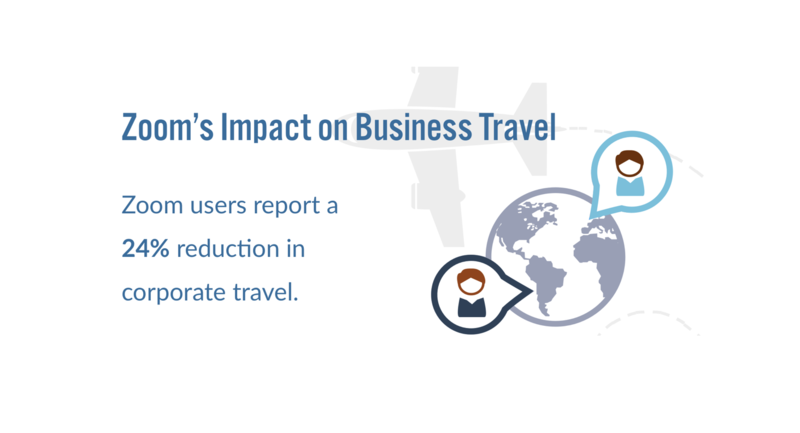 Too much travel ties into higher rates of turnover, which can drain company resources. In a company of 1,000 employees being paid $50,000 annually, a 10% turnover rate can cost 7.5 million dollars. * What if there was a way to replicate the high-quality, face-to-face communication provided by business trips without ever leaving your office? That’s exactly what Zoom users are doing! Zoom’s reliable video and audio quality ensures that you’ll have the same presence over video as you do in person. 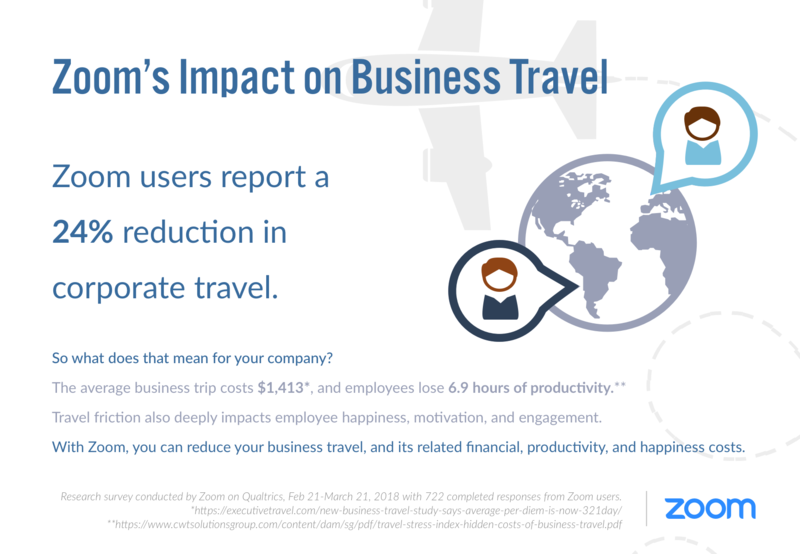 By replacing business travel with Zoom meetings, our customers are saving productivity, time, and money. Want to start saving money and time with Zoom at your enterprise? Sign up for a 1-on-1 live demo with a Zoom specialist today!